Probably the oldest harbour in Opatija is located in front of the Church of St. James (Sveti Jakov) and the Juraj Šporer Arts Pavilion. It is known locally as portić and hides many stories and legends. In the past, this was the starting point for boat excursions with the legendary barkajoli boatmen – a profession that emerged as a result of the need to transport goods and subsequently passengers and tourists. Opatija's barkajol was always at the service of his passengers, spoke several foreign languages, and his boat was neat and tidy, ready for a ride along the romantic Opatija Riviera. This was a profession passed down from generation to generation. It was a lifelong vocation filled with lovely moments during the sunny summer days, but also tough ones if one had to row the boat in the winter when there was rain or a strong bura wind. A bronze statue of Opatija's barkajol is today located in front of the portić small harbour. It reminds us of the time when the harbour was full of life. We can say that the barkajol is a symbol of Opatija and one of the symbols of tourism in the town. Visit Opatija and stop for a while in the historical portić small harbour, take a picture with the barkajol and take a nice memory back home with you. 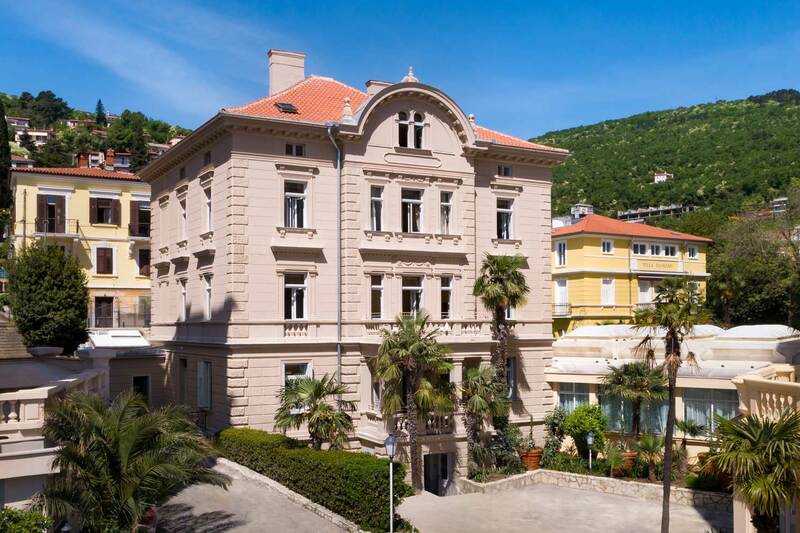 The Opatija Riviera hides many surprises for an autumn getaway.